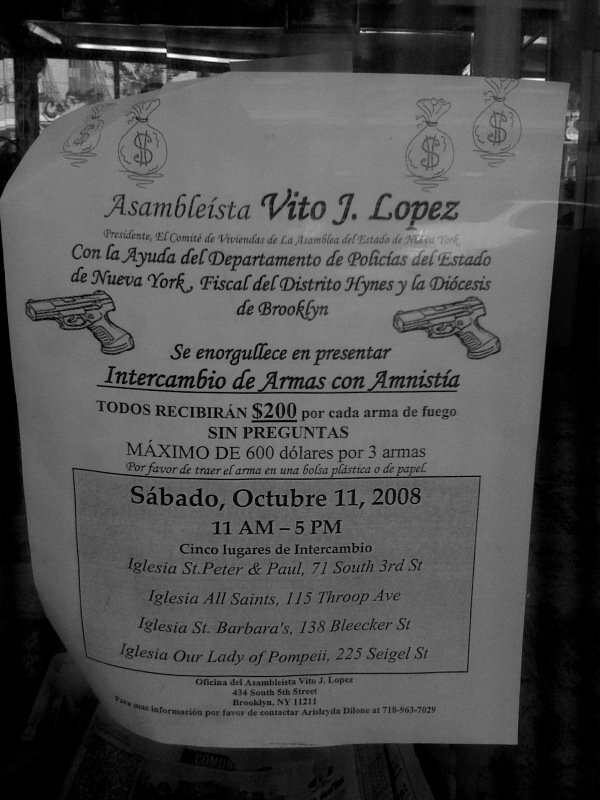 Flyer in the window at the barbershop on my block (331 Keap Street) for a guns exchange program. Photographed October 12th, 2008 with my iPhone. This page contains a single entry from the blog posted on October 13, 2008 12:57 AM. The previous post in this blog was Tar and Feather: Williamsburg Photo Erotica. The next post in this blog is Street Fashion Statement '08.